The sanctuary lies in the leafy outskirts of Brisbane and can be easily reached by bus from the BCD. 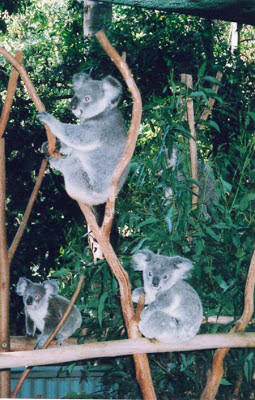 Lone Pine is home to around 130 koalas, but there are loads of other local animals that live here. There are wombats, platypus and the infamous Tasmanian devil. 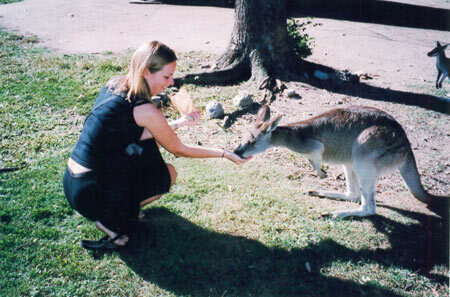 You can interact with some of the animals like the koalas, the kangaroos and the snakes. But we were for the koalas and the kangaroos. 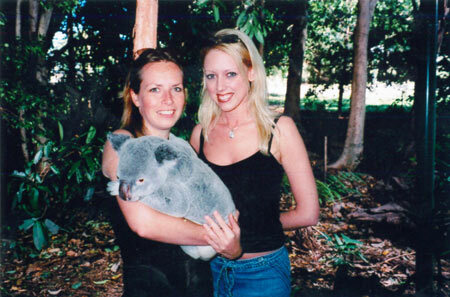 You can cuddle a koala any time of your visit and have your picture taken too. You do need to follow the guidelines of the keepers though, because giving hugs is hard work for the koalas. They don't like being up during the day, but in saying that, they sleep the better part of the night away as well. You hold both hands out at waist height and wait till the keeper places your koala on them. Your new friend will grip onto you like you're a tree. Their paws are very rough and their claws are incredibly sharp. So standing still like a tree is your best option to avoid slasher situations. As cute as they are, they smell like hell. Apparently this musky smell is stronger on older males and it's urine, mixed with a smell that comes from a scent gland on their chest. Finished off with a hint of eucalyptus. It gets stronger during mating season so I guess it must work wonders on the koala ladies. My Koala's name was Bunker, a three year old male weighing what felt like 10kg He hugged my tightly till our photo session was over. I could have hugged him a little bit longer, but Bunker decided I was a good spot for a number 1. So I handed him back to the keeper as fast as I could. But I was too late. So besides the cute photos of me and Bunker, Bunker left me a smelly memento to take home as well.